The hotel building was built in 2000 and renovated in 2004 and is spread over 6 floors. 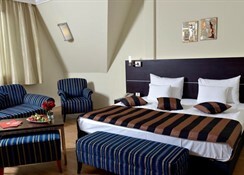 In total, there are 182 rooms on offer, of which 142 are doubles and 15 are suites. Guests are offered a welcoming lobby with lifts, and reception, which is open 24 hours. 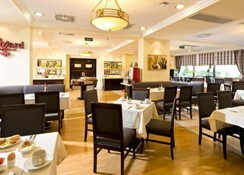 The hotel also has an air-conditioned à la carte restaurant with a separate non-smoking area and highchairs for infants. 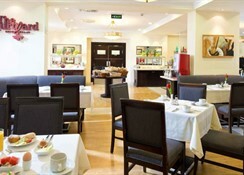 Business guests may make use of the hotel's conference facilities. In addition there is also wireless Internet access with WLAN. The hotel also has its own room service and medical assistance on offer. the hotel features a garage and car park. The hotel has an in-house sauna and its own gym. 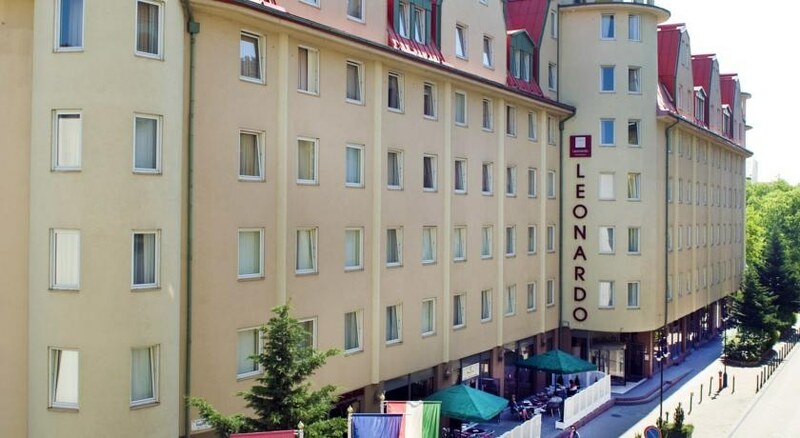 This city hotel lies in the 9th district, around 2 km (2 underground stations) from the city centre and 200 metres from the Holocaust Museum. 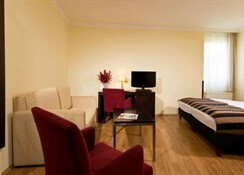 The nearest public transport links are just a short distance from the hotel. The hotel is also within easy reach of the airport. 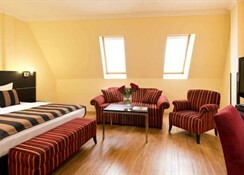 The stylish rooms come with an en suite bathroom with hairdryer and a lounge area. A direct dial telephone, satellite/ cable TV, central heating, a safe as well as a fridge and a minibar all come as standard as well. The subway stop on Ferenc Korut is just 500 metres from the hotel. By travelling two stops on the blue line, you will find yourself in the square called Ferenciek Tere, the gateway to the city's most elegant street Vàci utca and not far from the lively cafés and restaurants along the banks of the Danube, which afford a fantastic view over the Castle of Buda or Kiralyi Vár and the majestic Lanchíd or Chain Bridge.By car: The hotel is located in Pest. Therefore you will have to pass through Buda to get there. The highway M1/E71 will take you directly into the city. Proceed down Gellért hill along Hegyalja u. and cross the Erszébet hìd (Elizabeth bridge). Follow the indications for Belgràd Rakpart and proceed along the banks of the river Danube. Then folloow the indications for Ferenc Körút. Proceed along Ferenc Körút, then make a right for Tompa u. where the hotel is located.